EZ-Stik #4 primer is applied. 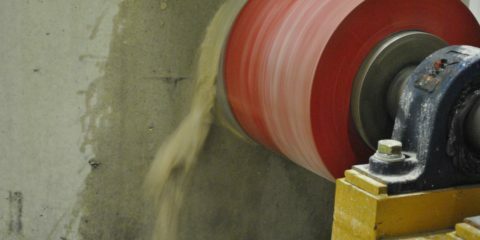 Wrap is cut to length prior to applying to joint. Keep both products away from heat, sparks or open flame. Use only with adequate ventilation. Avoid breathing vapors. Refer to MSDS for additional information. EZ-PRIMER #4: Store and apply at temperatures from 32℉ (0 C) to 110 F (43 C). Shelf life of 12 months when stored in unopened original container. After opening, keep container covered when not in use. EZ-WRAP: Store and apply at temperatures from 32℉ (0 C) to 110 F (43 C). The joints and/or joining surfaces of the structures shall be sealed with a butyl-rubber-based tape. The material shall be EZ-WRAP Plastic as supplied by Press-Seal Corporation, Fort Wayne, Indiana, or approved equal. The butyl component of the tape shall consist of50% (min.) butyl rubber, shall contain 2% or less volatile matter, and shall be .050” (1.3 mm) thick. 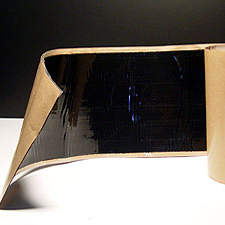 The backing component shall be high-density polyethylene film. A release paper may be utilized. For manholes, the tape width shall be 6” (150 mm)wide. The tape shall be overlapped at least twice its width. The tape shall not be stretched during application. Primer and/or adhesive as recommended by the tape supplier shall be employed for adverse, critical, or other applications. Testing of joints and compliance with construction requirements shall be conducted in strict conformance with the requirements of the sealant supplier. 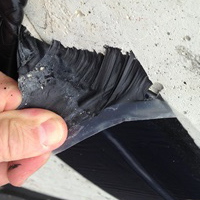 The joints and/or joining surfaces of the structures shall be sealed with a butyl-rubber-based tape. 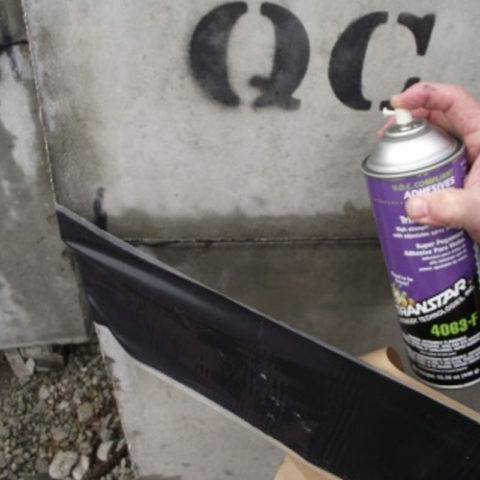 The material shall be EZ-WRAP Rubber as supplied by Press-Seal Corporation, Fort Wayne, Indiana, or approved equal. The butyl component of the tape shall consist of 50% (min.) butyl rubber, shall contain 2% or less volatile matter, and shall be .030” (0.75 mm) thick. The backing component shall be EPDM rubber, and shall be .045” (1.1mm) thick. A release paper may be utilized. 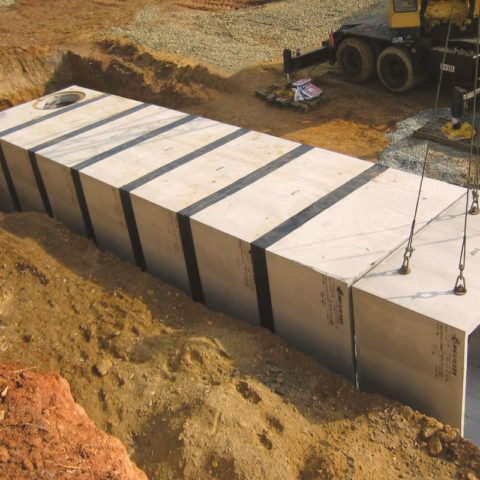 For manholes, the tape width shall be 6” (150 mm) wide. The tape shall be overlapped at least twice its width. The tape shall not be stretched during application. Primer and/or adhesive as recommended by the tape supplier shall be employed for adverse, critical, or other applications. Testing of joints and compliance with construction requirements shall be conducted in strict conformance with the requirements of the sealant supplier.